Many Canadians are investing in U.S. real estate directly, through Canadian corporations, and/or through partnerships. The U.S. and cross-border tax ramifications of these investments are often not considered when making the initial decision to invest. The owners of the property must obtain U.S. ID numbers. 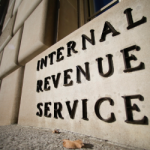 If a U.S. tax return is not filed, 30% of the gross rents must be remitted to the IRS. In most cases, filing a U.S. return results in lower taxes as expenses can be used to offset rental income. The U.S. return must be filed by a certain date or the IRS can disallow the deductions associated with the property. Interest paid on money borrowed to invest in the U.S. property may be restricted. If investing through a partnership, the partnership may be required to withhold Federal and/or State taxes on income allocated to the Canadian investor. State tax issues. The U.S. State (e.g. California, Oregon, Hawaii, and Arizona) in which the property is located will generally require an income tax return in addition to the federal return. If investing through a Canadian company, the complicated interest allocation rules may restrict the interest deductibility on the U.S. return. The Canadian company may also be subject to the U.S. branch profits tax. 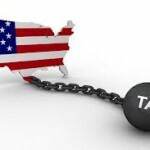 U.S. estate and gift tax legislation may impact how the property is held. If U.S. tax is withheld at source on the sale (FIRPTA), consideration needs to be given to filing a withholding certificate to reduce the withholding. U.S. Alternative Minimum Tax may apply on the sale. A foreign tax credit should be claimed on the Canadian return so that double taxation is avoided.